My goal here is to introduce EV Jerry Asher and his pilgrimage to spread the word. 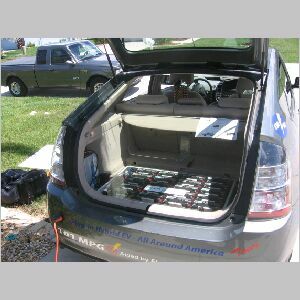 He is a member of the board of directors of the EAA (Electric Auto Association). He is also a member of the Chapter Relations Committee. EV Jerry is like Paul Revere riding the "Spirit of DC" (Get the pun? 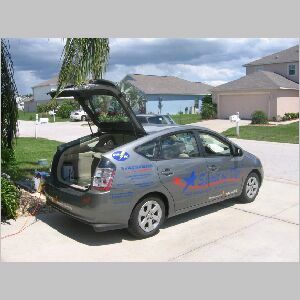 he is from Washington DC), his DC battery powered Prius Hybrid, crossing the country, telling people, the Plug-Ins are coming, the Plug-Ins are coming! Some of my neighbors said to me, "What's a Prius? What's a Hybrid?" A few months ago, people might have said "Who cares?" But, now, things have changed. So my second goal is to take this opportunity to explain what a Hybrid (HV) is and what a Plug-in Hybrid (PHEV) is. I believe that EV Jerry's car, because it is a PHEV, is very important, as is his pilgrimage. 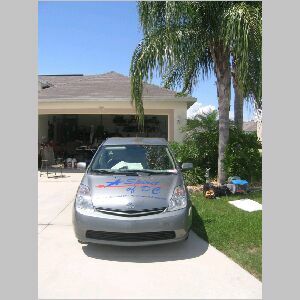 Not unlike the efforts of Florida's own Fran Sullivan-Fahs and her family, with their EV Initiative. 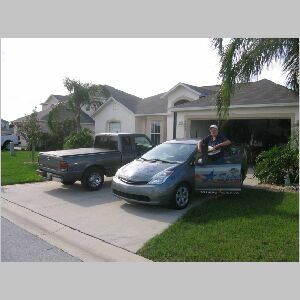 These vehicles will serve as a transition to true Zero Emmissions (ZEV), Battery Electric Vehicles (BEV) for those whose requirements for range exceed the capabilities of current BEV's and for those who have not yet come to understand the economics of owning a vehicle that exceeds thier routine requirements so that they can see the USA in their automobile. Eventually we will all grasp the notion that we need local transportation and we can use planes, trains and rented gasoline automobiles for cross country travel. This car when driven locally on short trips at speeds below 34 miles an hour will get over 100 MPG. Using the EV mode button you can achieve speeds of up to 42 mph in electric mode. Summary of the features of the Plug-In Supply Prius+ PHEV conversion: Three mode operation, Normal Prius, Enhanced Prius and Electric Vehicle. Normal Prius is stock performance, PHEV engaged. 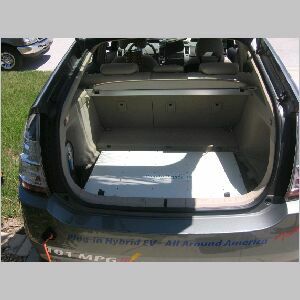 Enhanced Prius mode engages auxiliary battery pack to enhance the performance during normal Prius operation. 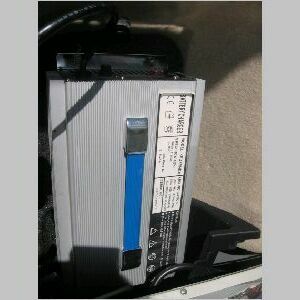 Electric Vehicle mode means gas engine does not start. To exit this mode car must be brought to a stop, turned off then restarted. Car restarts in normal Prius mode. Range in EV mode: 16+ miles per charge. Depends on terrain and driving style. Max speed in EV mode: 52 mph. Here is a PDF file that describes the EV Mode Button. So what is a Prius? Well, it is a car made by Toyota, the same people who made the RAV4-EV. This car is in many ways like any other car. It burns gas, produces CO2 and pollution. The difference is it also can be powered by electricity. So, when it is using electricity, is is not burning gas, producing CO2 or pollution. The net result is 48 MPG or more, less CO2 and less pollution. It is a Hybrid Vehicle (HV), a combination of gas and electric can be used separately or together to propel the car. What is different about a Hybrid like the Prius is that for the first time we have a car that actually gets better MPG in the city than on the highway. The important thing is that we do most of our driving within 20 miles from our home. This is where the Hybrid really pays off, on local driving. So, what is a Plug-In Hybrid? A plug-In Hybrid Vehicle (PHEV), goes one step further than an HV. 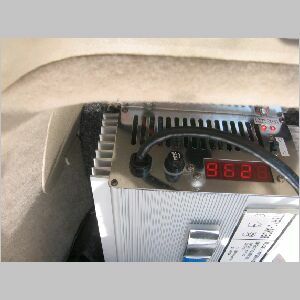 It carries a reserve of electric energy from your home outlet in an auxiliary battery in addition to the gas in the gas tank. The net result is 100 MPG or more, even less CO2 and even less pollution. It should be noted that the Prius, both before and after conversion to plug-in is a parallel hybrid. See description of Serial and Parallel Hybrids under Lone Ranger. 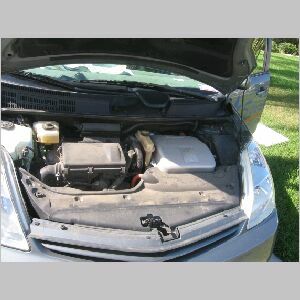 In the picture on the left you can see the heart of the Hybrid Plug-In conversion. 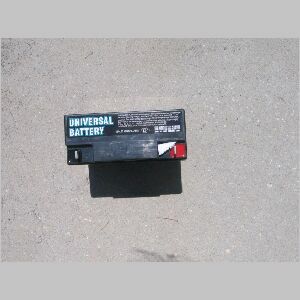 The auxillary battery. The carpet is removed so you can see the rigid protective cover. 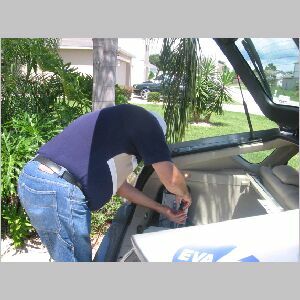 In the picture on the left you can see EV Jerry removing the auxilary battery cover. On the right you can see the exposed battery pack. This is one of the batteries. In the picture on the left you can see the top view. On the right you can see the side view. 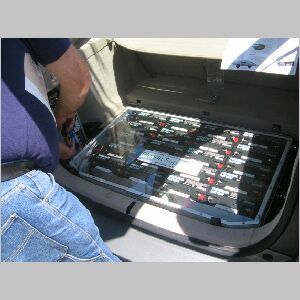 There are twenty 12 volt batteries in series in the auxilary pack adding up to 240 volts. Each battery is 22 amps and weighs 15 pounds for a total of 300 pounds. These batteries come from the same company as the EPT2 batteries. 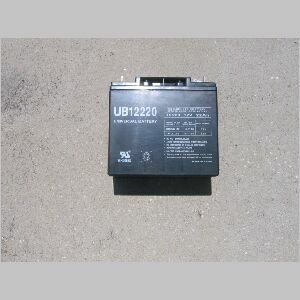 They are Universal Battery sealed Lead Acid AGM batteries. In the picture on the left, you can see the principle elements of the conversion. 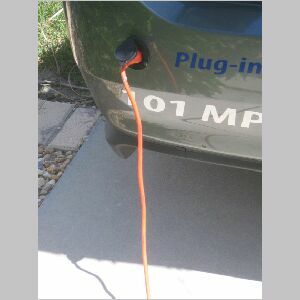 The charge port with the extension cord attached. On the inside left, is the charger and on the inside right, the batteries. On the right you can see a close up of the charge port. 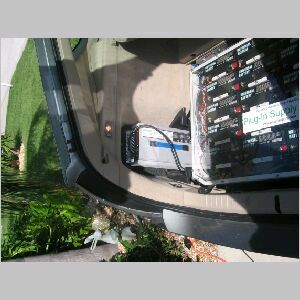 In the picture on the right and the two pictures below are various views of the charger. 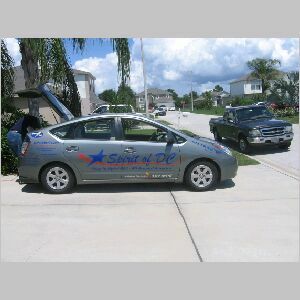 Local Hero Saves "Spirit of DC"
Unfortunately, after EV Jerry left here his Can-view display stopped working. 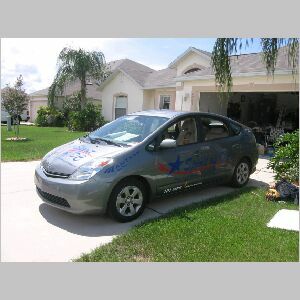 Fortunately, he was headed straight for James Parish neighborhood, Florida's CALCAR Prius Plug-In conversion expert. Here is James Parish's description of the situation. "CAN-View uses Silicon Labs 8051 MPUs in the QFP package, surface mount. Sometimes the firmware (software code) gets corrupted, I'm still looking into why, it happened on mine once too. Jerry got lucky, I got with the designer last Christmas and he gave me schematics of mine so I could understand and possibly help him build them if he got swamped with orders. Plus it would be nice to have someone in the US able to ship and/or repair CAN-Views. I'm probably the only person that I know of that has a stock of CAN-View repair parts and schematics"